authorized LoadTrek distributor. No need to integrate dissimilar systems or have an IT staff. We allow any fleet to compete with a nimble, lightweight system that can handle complex fleet operations. Typical LoadTrek customers are rapidly growing private fleets and specialized for-hire carriers. LoadTrek gives you visibility into your entire operation. Every route, every stop, every vehicle, in real time, anywhere you have an internet connection. 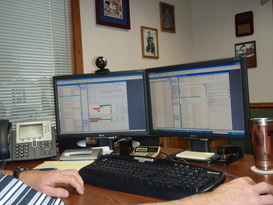 Every driver, technician, dispatcher, and manager works within the same system. Tie your entire operation together – from the initial order to billing. LoadTrek is unique in that “loads” or work is the center of its universe. Drivers, non-driving employees, tractors, trailers, equipment, and tasks are each attached to this work plan. Your company’s business is to perform work and get paid for that work – not track equipment or drivers as independent entities. LoadTrek is designed the way your business runs. This system was designed in offices, shops, and out on the road – not in an engineering lab or on a whiteboard. You create the ideal plan. Every route and trip is measured against this plan. Manage your fleet using a dashboard and a control panel. Handle your exceptions before they become problems. Focus your attention where it’s needed, and help your staff manage their areas effectively. Every LoadTrek client expects a reasonable ROI. Only you know what to expect, but we can help you formulate your own analysis. Where do most of our clients see a return on their investment? Fuel consumption. Because of variables in weather, conditions, equipment, and loads – we do not believe drivers should be judged solely on their personal fuel consumption. Yes – you can measure fuel consumption be each driver. It is more effective to measure those variables the driver controls. It has been proven that controlling idle speed, shifting, braking, and lateral forces decreases fuel consumption. We have volumes of information on this subject on the JBA web page. Consider this, the American Trucking Association’s Technology and Maintenance Council (TMC) indicates that drivers can effect fuel consumption by 35% in modern, computer controlled trucks. Safety. This is a hard area to measure. Evidence tells us that the factors influencing fuel economy also influence driving safety. We know that a safety program is only as good as your ability to measure activities. LoadTrek gives you the ability to run Driver Scorecards, Accident Analysis reports, and alerts you to abnormal operations. People expenses and activities. It’s not about reducing payroll. It’s about measuring activities and accurately paying drivers. Commercial drivers only have a certain amount of hours they can work. You can make sure that those hours are productive and not wasted on non-revenue producing activities. You will save time in the office when you automate compliance and fleet administration activities. Our customers redirect this saved time into more productive activities. 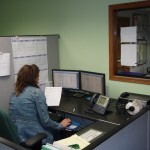 Would you rather have a dispatcher reconciling logs, or coaching drivers? Would you rather have a mechanic walking the yard looking at equipment, or turning wrenches? Would you rather ask your people why you have so many trucks on the yard, or be out finding new business? Compliance. The economic burden of compliance is growing. 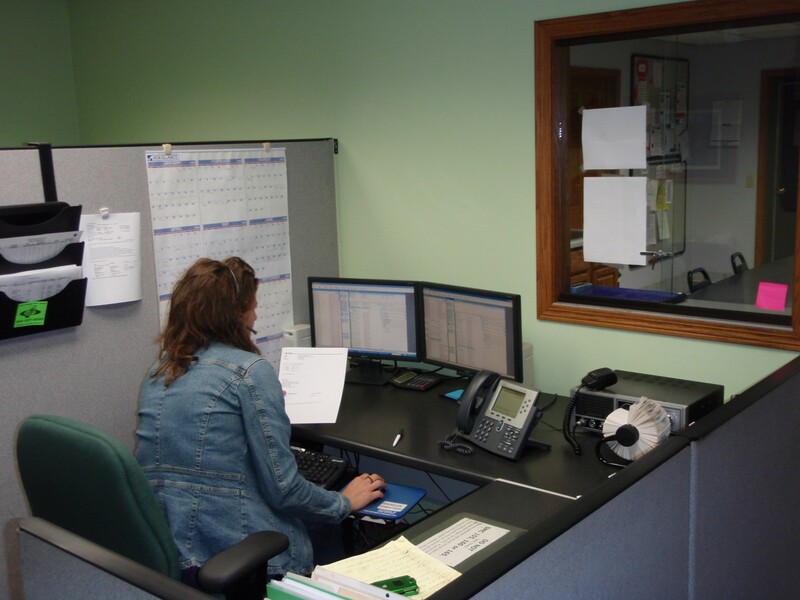 Most of our customers redirect the time saved from administering log, driver payroll, and fuel tax activities into more productive activities. Audits from FMCSA, state DOT agency, IFTA, or Department of Labor are easier when your records are complete and instantly accessible. Routing. Can you save 1% of your annual distance traveled? A small percentage can reap huge dividends. You know your cost per mile. The ability to see your activities and plan for backhauls or additional revenue opportunities is a big profit factor. Think of the ability to attach every vehicle move to a load or to specific work. When you see vehicle use that is not attached to an authorized activity, you are spending money and exposing your company to risk. A key component of reducing accidents and reducing expenses is simply reducing vehicle usage. Effectiveness. Growing companies reach a point where it is impossible for you to know everything that’s going on. When you get to that point where you no longer know your people and you no longer know your customers, you need LoadTrek.